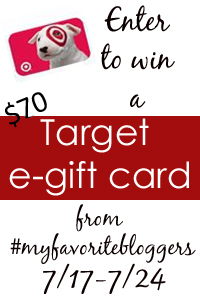 Today is a blog hop featuring some of the fabulous #myfavoriteblogger gals. The theme? Birds. At the bottom of this post is a giveaway. Don’t miss it! It’s been a little while since we’ve done a trash-turned-fabulous post. And this project was a fabulous happenstance of my parent’s recycling bin, and the group effort of three adults and two children. And there were various kinds of glue. We started with a clean peanut butter jar and a saucer for a plant pot. Both of these things were discovered in my parents’ garage. 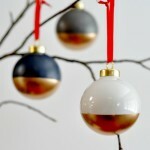 I nearly always come home with something new to craft/upcycle with after a visit at my folks’ place. You can imagine that Mr. Suburble loves this. Hoarding is a genetic condition. 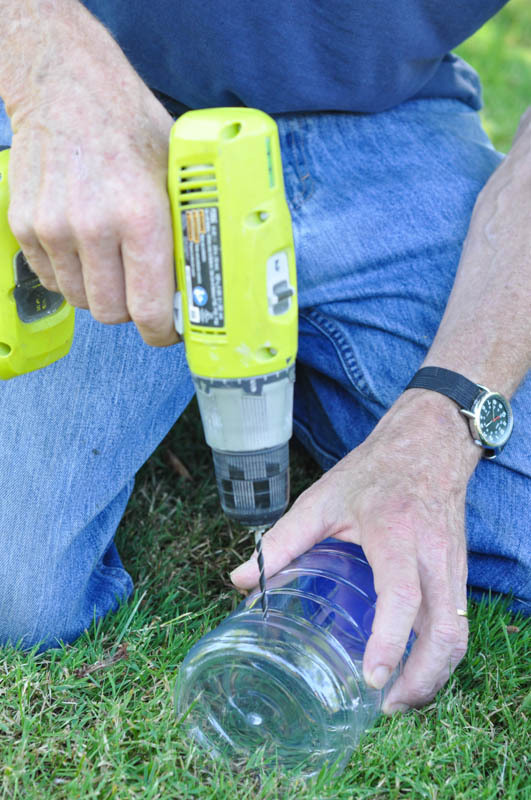 My dad grabbed a drill and created a pilot hole at the bottom of the plastic jar. He did this about four times around the bottom of the jar. 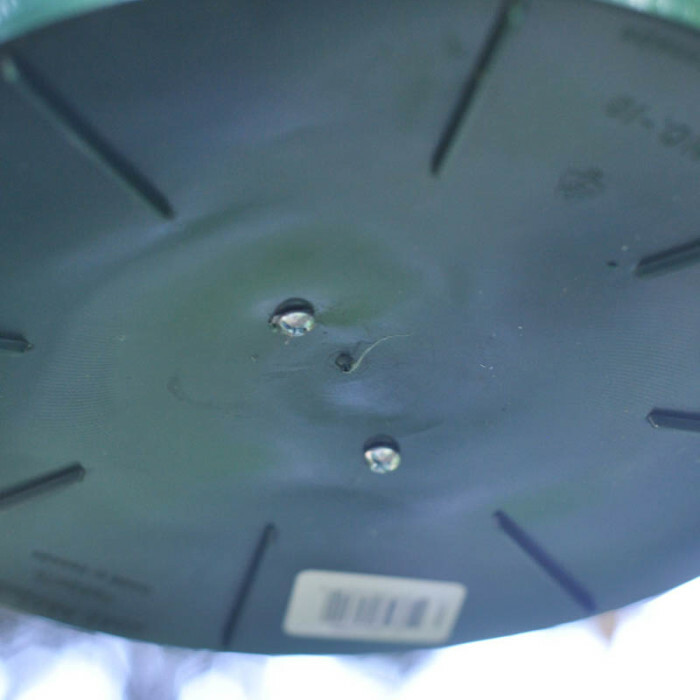 Using scissors, we turned these pilot holes into larger holes – big enough for bird seed to slip out of of. I’m omitting a bunch of craft failures at this point in the post. We had this idea that we could glue the two plastic surfaces together. Easy, right? Despite trying almost three different kinds of construction glue from my mom’s shop, despite placing bricks on top of the bird feeder, and despite claims by deceitful glue-makers that their adhesive would bond plastic… the thing repeatedly fell apart. We all threw our hands up into the air. 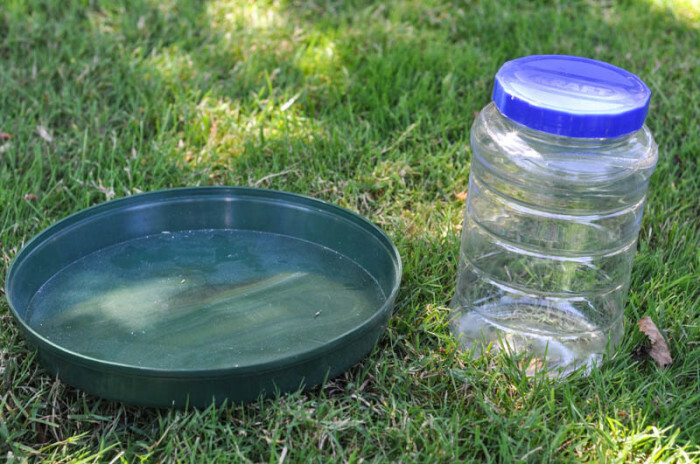 How on EARTH could we connect the jar to the saucer? After realizing that the third time farting around with glue was NOT a charm, but instead a complete and utter failure, we turned to a drill and fasteners. 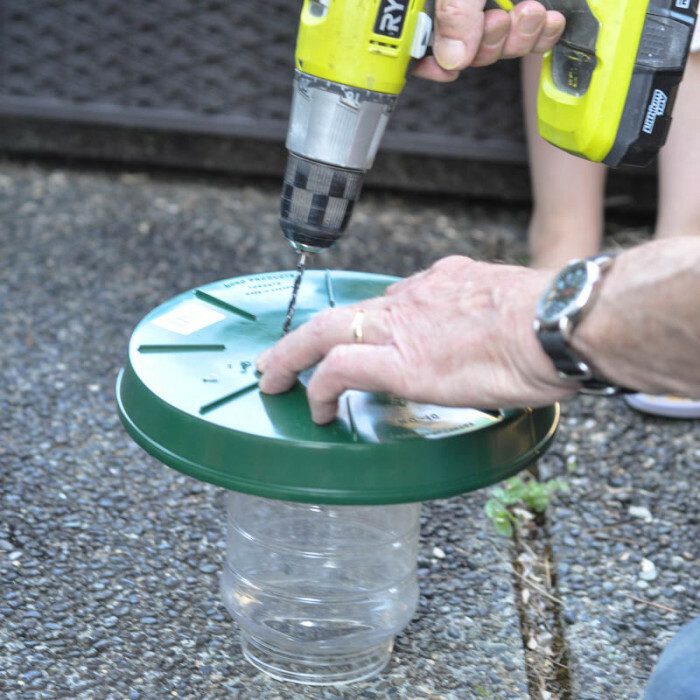 My dad drilled holes through the saucer and the bottom of the jar. Bolts were slipped into the bottom of the saucer and then secured with nuts. By having the bolts face into the jar, you don’t risk any scrapes or “grabs” by bolts haphazardly hanging out of the saucer bottom. 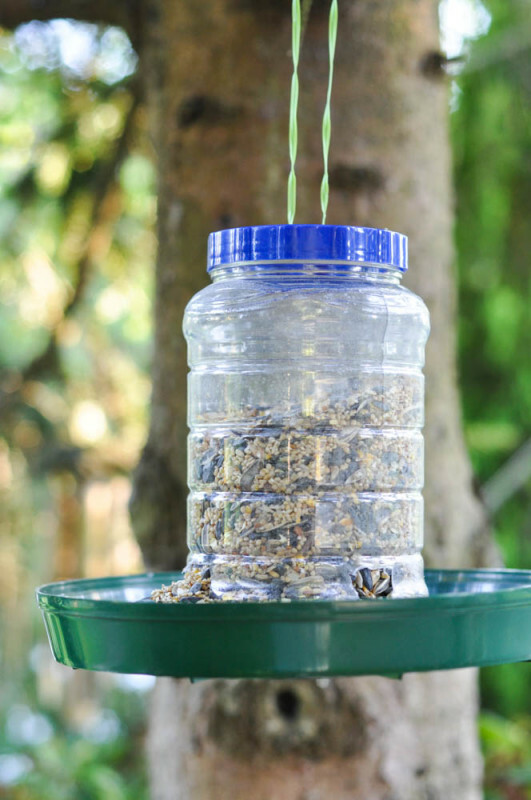 A couple of holes drilled into the peanut butter jar lid, some twine, and you’re ready to fill your upcycled bird feeder with seed! I think we were all impressed with our recycling bin creation. The seed easily spilled from the holes and filled the saucer. 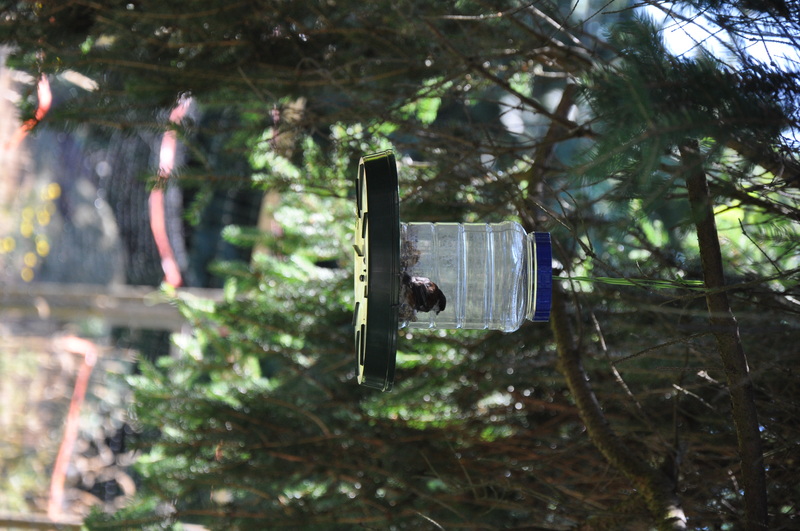 Would the birds notice? 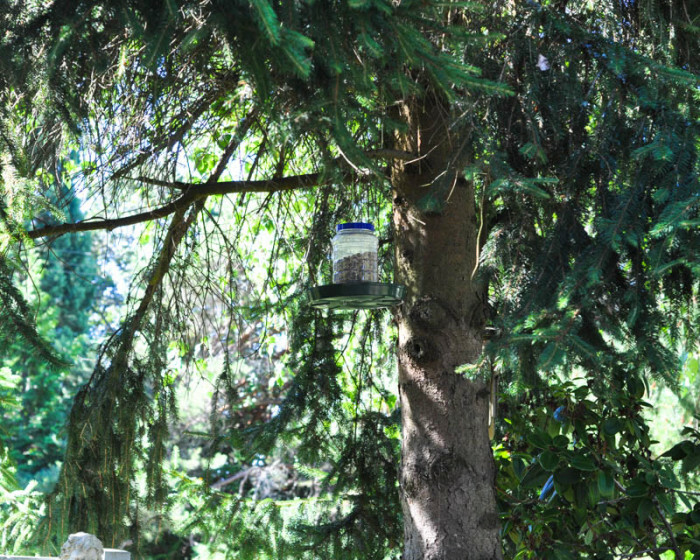 Could this be a viable bird feeder? The next day, I left my parents’ house…. not yet seeing a bird perch on our creation. Oh no… did they know that this was a recycling bin creation? And not a day later, my mom took this picture. Do you see how much bird feed has been eaten? 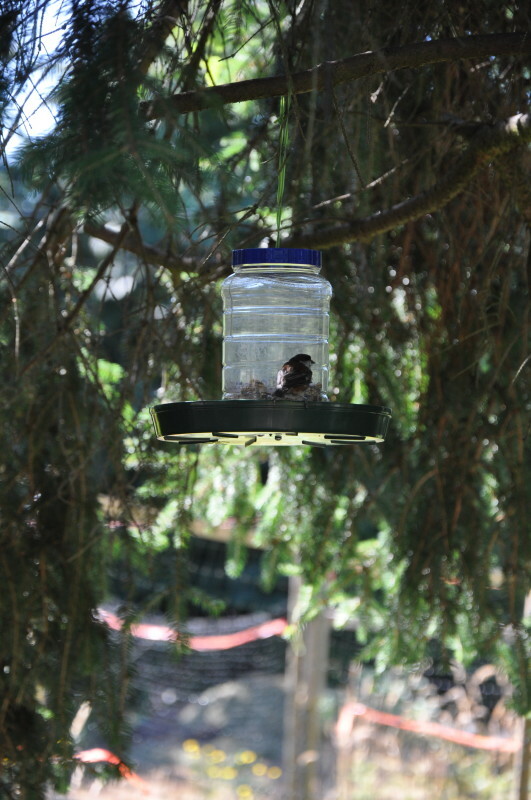 And the little bird/chickadee/adorable chubby chick thing is having breakfast right at our little upcycled restaurant! The bird love doesn’t stop here! 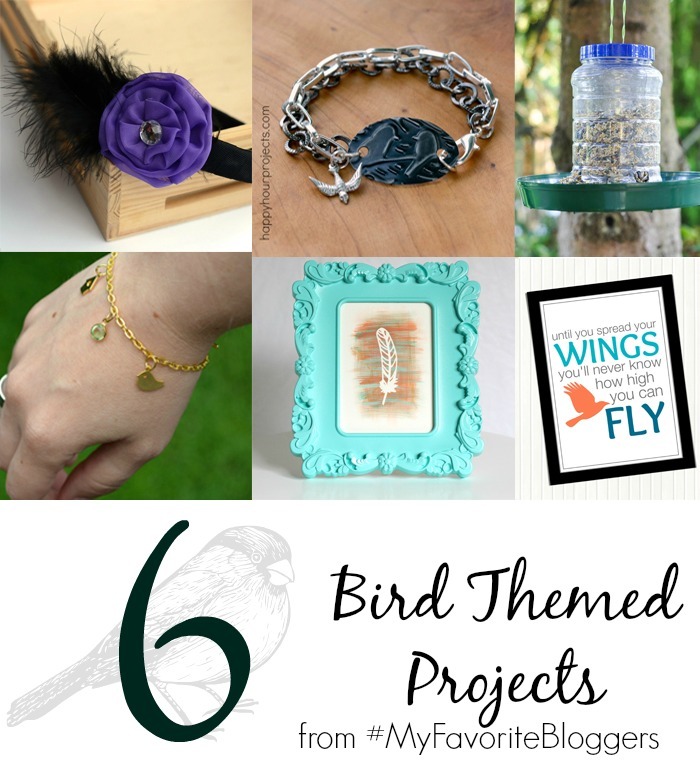 Five other gals from the #myfavoriteblogger collective have created awesome bird-related projects! 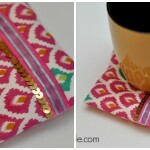 And after you’ve soaked up all of that good birdy-ness, you should enter this giveaway! It’s for $70 from Target! It looks great! 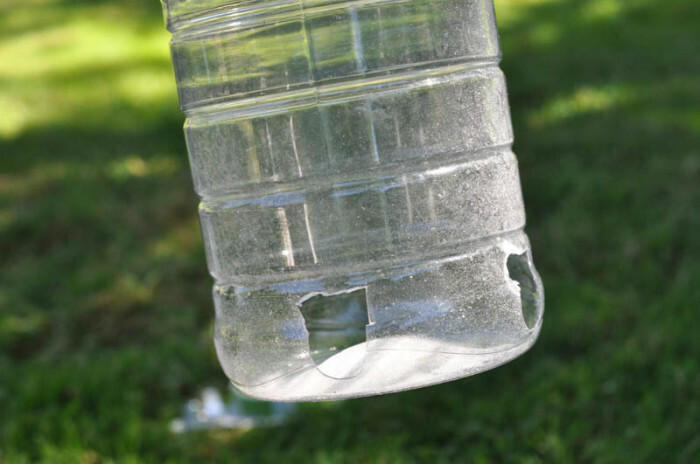 I upcycle gallon water jugs into bird feeders (they last about six months or so), but I have never made anything that actually looked nice like this! Well done! Thank you so much, Gypsi! 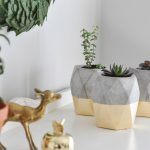 I admit – it was my mom’s idea to use the peanut butter jar – and it looked so much better than any of the ideas I had been tossing around earlier! Good grief, girl! You’re gonna need some more bird food! I know! Hooray! I didn’t know if it was going to work. 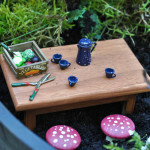 See – it was such a success! 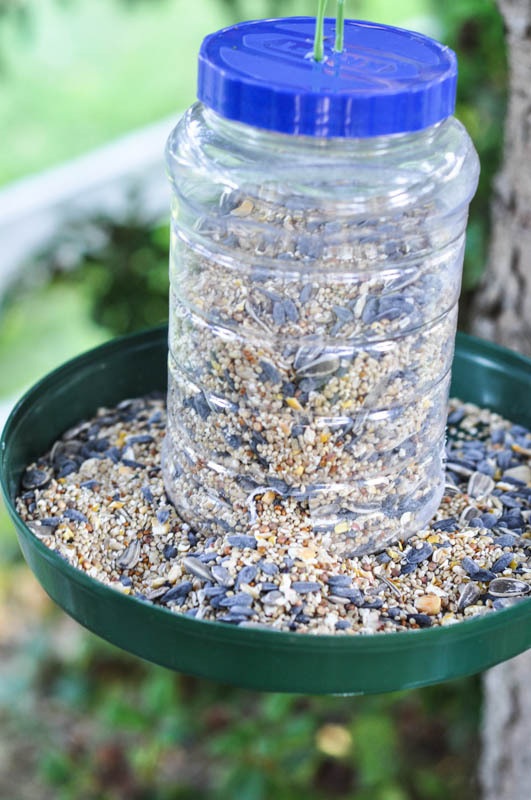 Those birds loved your little feeder… and super cool that you reused (literally) junk to make it! 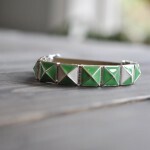 What a fabulous upcycle Tara! I’m impressed!